Are you looking to apply for a loan and need to find out your credit reference bureau status? 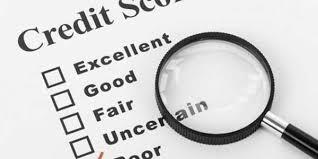 According to the Credit Reference Bureau Regulations 2013, you are entitled to one free credit report every year. (c) once per six months after making a request to a Bureau to have inaccurate information corrected in the database." In the preliminary part of the regulations, a customer is defined as, "any consumer of services or products who has a formal engagement to receive services or products on agreed terms and conditions from an institution licensed under the Act or a third party and includes a person who seeks to open an account with an institution." Thus, to qualify for a free report, you only need to operate a bank account in any bank or financial institution licensed by Central Bank of Kenya. Free means you shouldn't pay a single cent for the free report. This is important because some Credit Reference Bureaus are asking people to apply for their reports via an SMS shortcode and pay a fee of between Kes 50 and 100. The service is free and if anyone asks you for money for the free report, point out this part of the law to them.